Come the fall, the Federal Communications Commssion’s consideration of its proposal to reclassify some over-the-top video services as multichannel video programming providers (MVPDs) is likely to become the agency’s next highly divisive issue, reprising the same ideological and partisan differences that marked the debate over net neutrality. Last month, FCC chairman Tom Wheeler confirmed that the commission will take up the proposal in the fall, and indicated that he favored making the switch, which would grant online video distributors (OVDs) the same program access rights as cable and satellite providers while also imposing some of the same restrictions and requirements. But in a speech to the Churchill Club in Palo Alto, Calif., last week, Republican commissioner Ajit Pai, who had dissented at great length from the FCC’s net neutrality rules, laid down the gauntlet again. As with his opposition to net neutrality rules, Pai’s analysis of OVD reclassification leans heavily on standard conservative “free market: good; regulation: bad” framing. 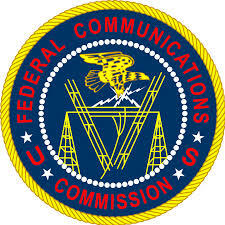 Beyond the boilerplate, though, he raises an issue that I also noted in a previous post here on OVD reclassification: Changing the FCC’s definition of who qualifies as a MVPD, by itself, will not guarantee OVDs will be able to retransmit broadcast signals on the same terms as cable and satellite providers because the FCC has no authority to convey a license to the copyrighted programming contained in those signals. Traditional cable TV systems operate under a compulsory license, created by Congress and administered by the U.S. Copyright Office, that gives them automatic permission to rebroadcast copyrighted programming in exchange for paying statutory royalties. As I noted in the previous post, however, the Copyright Office has long held that non-facilities based distributors such as OVDs do not qualify for the statutory license. It’s not at all clear that the office would be persuaded otherwise just because the FCC changes its definition of a MVPD, setting up a real possibility of having two federal agencies pitted against each other over federal policy toward OVDs. To begin with, the benefits [of reclassification] promised are illusory. For example, some claim that additional FCC regulation would make it easier for online providers to carry television broadcast stations by obligating those stations to negotiate in good faith with providers to reach retransmission consent agreements. But there’s one big problem. Even with such agreements, over-the-top video providers still could not show broadcast programming unless they also had the copyright licenses to do so. Right now, cable operators have a legal right to a compulsory license. But that license only applies to “cable systems,” and the U.S. Copyright Office has taken the position that over-the-top providers don’t qualify. Some hope that the Copyright Office will change its mind, but I wouldn’t bet on it. To state the obvious, an over-the-top provider with no physical distribution infrastructure is not a “cable system.” On top of that, the Copyright Office believes that “the internet market is thriving . . . without any statutory licensing in place.” And notwithstanding yesterday’s federal district court decision to the contrary, the Second Circuit has already endorsed the Copyright Office’s view. So the FCC’s regulations would likely compel retransmission consent negotiations that lead to the carriage of little to no programming. In English: These would be negotiations to nowhere. Pai’s faith in the Copyright Office’s view of the issue may not be as well-placed as he thinks, however. The federal district court decision he referred to in his speech was handed down by U.S. District Court Judge George W. Wu in a case involving FilmOn X, the broadcast streaming service owned by billionaire Alki David. FilmOn was a competitor to the now-dissolved Aereo, and like Aereo was sued by a group of broadcasters for copyright infringement. After the U.S. Supreme Court put the kibosh on Aereo, however, on the somewhat muddled grounds that Aereo was operating for all intents and purposes as a cable TV system without a license to retransmit copyrighted broadcast programming, FilmOn decided simply to declare itself a cable system. It registered with the Copyright Office and began submitting the royalty payments required by the compulsory license in the hope of escaping the fate that befell Aereo. The Copyright Office neither accepted, nor explicitly rejected the payments, but FilmOn is now arguing in its defense against the broadcasters’ lawsuit that it is entitled to the compulsory license because it’s system is modeled on Aereo’s, which the Supreme Court has ruled was for all intents and purposes a cable system. In a blow to the broadcasters, Judge Wu largely accepted FilmOn’s rationale (without being overly impressed with its actual compliance with the license’s requirements). “For now, the Court would hold that…once compliance under the statute is achieved, [FilmOn] would be entitled to a [compulsory] license,” Wu wrote. Both the legal issues and the procedural history of the FilmOn case are complex and technical, and the ruling puts Wu at odds with several other courts that have ruled in related cases. Recognizing its potential impact and the commercial stakes involved, in fact, Wu himself immediately stayed his own order and authorized expedited appeal of the ruling to the U.S. Ninth Circuit, which Twenty First Century-Fox has said it will pursue. So Wu’s ruling will hardly be the last word on the matter. But it’s worth reading if only for the right spanking it administers to the Copyright Office for what Wu sees as its historically pinched reading of legislation creating the compulsory license, and to other courts for giving deference to what he argues are mere policy preferences of the Office without force of law or textual support in the statute. The Office’s restrictive view concerning Section 111 was no surprise, although the gentle and tentative nature of the letter perhas was. “The Copyright Office has long been a critic of compulsory licensing for broadcast retransmissions.” Statement of Marybeth Peters, Register of Copyrights, before the Subcommittee on Courts and Intellectual Property (June 15, 2000). In the Office’s view, “[a] compulsory license is not only a derogation of a copyright owners’s exclusive rights, but it also prevents the marketplace from deciding the fair value of copyrighted works through government-set price controls.” The Copyright Office has consistently held this view, and has been calling for the repeal [sic] of Section 111 since 1981. 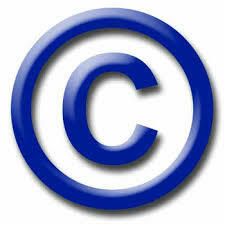 The Copyright Office has also been consistently opposed to the satellite compulsory license. As a policy matter, these views may be correct. But it can hardly be overlooked that the Supreme Court held that any such considerations did not control in Fortnightly and Teleprompter [the foundational cases in cable TV jurisprudence], and that Congress in response passed the compromise regime to which the Office objects. Given that the Office disagrees with Congress, it is no surprise that it seeks to cabin the statute whenever possible. However, this administrative opposition to Congressional text requires a particularly close look at any assertion that courts should defer to the agency’s interpretation. Again, the Office noted its view that internet retransmission is even more harmful to copyright holders than cable and satellite retransmission. But if in the Copyright Office’s view Section 111 is “bad,” and “really bad” if applied to internet retransmission, we must ask what the Office’s view of internet retransmission would be if it considered Section 111 to be “good,” as Congress deemed it. That question is impossible to answer precisely. At least, the Copyright Office would not be as hostile to internet retransmission as it is. It might even support it. The Office’s policy views appear to have found expression in a very strange reading of the words “facility” and “communications channels” in Section 111. It is questionable whether, even if Chevron applied, it would be appropriate to defer to the Office’s interpretation. In his speech to the Churchill Club, Commissioner Pai dismissed the ruling as irrelevant to the debate. Ironically, in light of Pai’s general ideological orientation, Judge Wu reaches a fundamentally conservative conclusion: neither the courts nor administrative agencies should substitute their policy preferences for the plain intent of Congress as embodied in the unambiguous text of the statute. The language in Section 11 is open-ended, and in Wu’s view Congress clearly meant it to be technology-agnostic. If Congress now thinks otherwise it’s up to Congress to say so, not the courts or the Copyright Office. Perhaps it’s simply a question of whose ox is being gored. In any case, there is no guarantee that Judge Wu’s ruling will survive review by the Ninth Circuit. Wu himself acknowledges in the ruling that the legal issues are “close.” But it certainly provides plenty of talking points for the combatants in the political fight that is likely soon to erupt over the intertwined issue of the FCC’s plan to reclassify OVDs as MVPDs — within the FCC itself, between the FCC and the Copyright Office, and ultimately on Capitol Hill. If nothing else, that makes the ruling relevant.